PHIA has had an eventful couple of weeks, beginning with our annual transportation conference last week and capped by the state Senate’s 47-1 concurrence vote on the long-awaited automated speed enforcement bill on Tuesday. 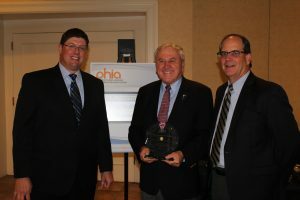 Due to scheduling considerations, the highlight of the transportation conference occurred early in the day when state Sen. John Rafferty (R-Montgomery) was named PHIA Advocate of the Year. The longtime Senate Transportation Committee chair has been a strong and consistent advocate for many transportation issues, not the least of which was his role in introducing and pushing for passage of Act 89 of 2013, the measure that has increased Pennsylvania’s transportation funding by $2.3 billion per year. The award, PHIA’s highest honor, was created in 1982. The bar for receiving it is high, however, as it has been awarded just 25 times in 36 years. Senator Rafferty joins an impressive list of advocates, which can be viewed here. As the number of legislative session days was winding down, the Senate stepped up once again, concurring with House revisions to the Senate’s original automated speed enforcement bill, which had been introduced by Sen. David Argall. The bill now goes to Governor Wolf for final approval, and he has expressed his support for the measure. After one warning, the legislation provides for $75 to $150 fines to be levied to owners of vehicles that exceed the posted speed limit by 11 miles per hour or more in active work zones. A similar measure in Maryland has resulted in a significant decrease in excessive speeding in work zones, now at a rate of less than 1 percent. The measure, a five-year pilot, was promoted as a highway worker safety issue. Pennsylvania’s speed cameras could begin to be put in use 120 days after enactment. L ast week, PHIA presented the Honorable John C. Rafferty (R-Montgomery) with the Transportation Advocate of the Year Award. 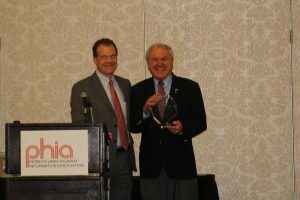 Rafferty received the award during PHIA’s annual meeting which was held last week. 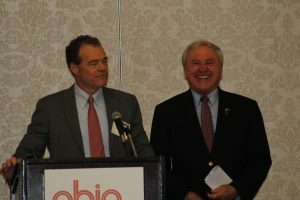 The longtime Senate Transportation Committee chair has been a strong and consistent advocate for many transportation issues, not the least of which was his role in introducing and pushing for passage of Act 89 of 2013, the measure that has increased Pennsylvania’s transportation funding by $2.3 billion per year. PennDOT continued its 2018 construction letting season by issuing over $334 million in projects during the month of September, bringing the year-to-date total to just over $1.8 billion according to numbers compiled by the Associated Pennsylvania Constructors (APC). PennDOT finished 2017 with just over $2.578 billion in project lettings. PennDOT forecasted the 2017 letting program to be $2.4 billion and they anticipate the same for 2018. PennDOT continued its 2018 construction letting season by issuing just over $182.2 million in projects during the month of August, bringing the year-to-date total to just over $1.48 billion according to numbers compiled by the Associated Pennsylvania Constructors (APC). PennDOT finished 2017 with just over $2.578 billion in project lettings. 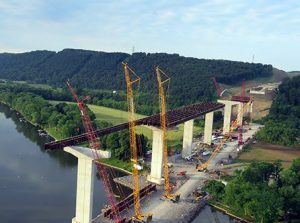 PennDOT forecasted the 2017 letting program to be $2.4 billion and they anticipate the same for 2018.